Days after Congressman Steve Scalise, the third most powerful member of the U.S. House of Representatives, admitted that in 2002 he attended and addressed a white nationalist conference, Kenny Knight, the former campaign manager for David Duke and one of the event’s organizers, claimed that Scalise had actually attended a neighborhood association meeting. But that story doesn’t add up, and neither does Scalise’s excuse for showing up in the first place. Rep. Scalise knew exactly what he was doing when he decided to address the conference, and despite his apparent amnesia on the subject, it had nothing to do with a proposed tax plan. A week ago, I broke the story about Steve Scalise, the current House Majority Whip, attending a conference hosted by the European-American Unity and Rights Organization (or EURO), a white nationalist organization led by David Duke, the former grand wizard of the Ku Klux Klan. Since then, the story has been picked up by the national and international media, and as a result, we know now a lot more about the event, its organizers, its agenda, and its participants. I spent the last week criss-crossing the state of Louisiana, and along with Slate‘s Zack Kopplin, I interviewed more than a dozen policymakers, elected officials, and peers of Congressman Scalise. I also spoke, at length, with Louisiana’s most prominent political reporters, journalists, and bloggers, and Mr. Kopplin conducted extensive, archival research, poring over scores of news articles, court records, and public documents. So far, the Congressman has survived the scandal with his job intact, in part because no video or photographic evidence of the actual event has surfaced, and because of focused efforts to obscure the details of what actually happened that day. To be sure, only a day after I first broke the story, Rep. Scalise confirmed its veracity and owned up to his participation. However, there is one glaring, enormous problem with his official statement, and that problem undermines the plausible deniability upon which he has relied as an excuse. Rep. Scalise claims that he agreed to address the EURO conference as a part of a tour he was conducting in opposition to a proposed tax plan. According to him, this was merely one of more than a hundred speeches he gave that year about the tax plan, which is known in Louisiana as “the Stelly Plan.” The Stelly Plan was, essentially, a proposal to lower sales taxes on electricity, gas, water, and home food consumption and replace that lost revenue by closing loopholes on individuals making more than $80,000 a year who double-count their federal and state income tax exemptions. By all accounts, the Stelly Plan was stellar, much-needed policy. It was supported and endorsed by Louisiana’s most influential pro-business organizations, Louisiana’s Republican Governor, and, eventually, the vast majority of both Democratic and Republican elected officials. But Steve Scalise, then a little-known state legislator, opposed it because he was concerned it burdened the wealthy and the upper middle class. I don’t have any records from back in 2002, but when people called and asked me to speak to groups, I went and spoke to groups. It was myself and [former state Sen.] James David Cain who were opposed to the Stelly tax plan. I spoke to every television station. I did multiple interviews about [the tax plan] during that period in 2002. It was a very busy time because there weren’t that many people speaking out against the tax proposal. I didn’t have a big staff to vet organizations either. I was without the advantages of a tool like Google. It’s nice to have those. Those tools weren’t available back then. (It’s worth noting that Steve Scalise has a degree in computer programming; he currently sits on the Subcommittee on Communications and Technology; and, in 2002, Google was already 4 years old, and Yahoo had just turned 8. Those “tools” were definitely available back then). Despite his statements to the contrary, numerous people who were involved in the debate over the Stelly Plan claim that there is no conceivable or plausible way that Scalise, in mid-May of 2002, was already campaigning against it. 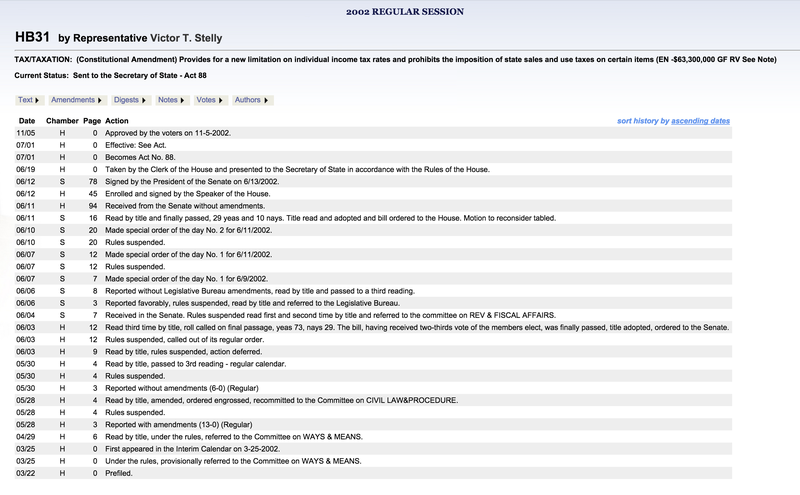 The twin bills that comprised the Stelly Plan were first heard in committee on May 28th, at least 10 days after the EURO conference. However, the campaign and the series of meetings against the plan, which involved Steve Scalise and James David Cain, among others, didn’t kick off until at least August; that was when opponents first began gearing up and speaking out about the upcoming Nov. 5th statewide referendum that was necessary to turn the Stelly Plan into law. Because for the last several days, national news publications, including The New York Times, have repeated Rep. Scalise’s claim that his appearance at the EURO conference was an oversight caused by his participation in a much larger campaign, a campaign that involved more than 100 other events and appearances. There’s no question he eventually did embark on a tour against the Nov. 5th ballot initiative, but there is also no question that he did not speak to that particular conference of white nationalists about a tax plan. “He touched on how America was founded on Christian principles, Christian men who founded this country, and how it was believed it would go forward as a Christian nation and how we’re getting away from that,” Mr. Ortis said. In addition to plans to implement tactical strategies that were discussed, the meeting was productive locally as State Representative, Steve Scalise, discussed ways to oversee gross mismanagement of tax revenue or “slush funds” that have little or no accountability. Scalise brought into sharp focus the dire circumstances pervasive in many important, under-funded needs of the community at the expense of graft within the Housing and Urban Development Fund, an apparent give-away to a selective group based on race. There’s no question that then State Rep. Scalise was not actually referring to the “Housing and Urban Development Fund,” which does not exist but sounds, vaguely, like a federal program administered by HUD. Instead, he was likely referring to the Rural and Urban Development Fund, a state program first established by Governor Edwin Edwards that gave legislators discretion in earmarking a certain amount of money every year for needed projects in their districts. Like many things in government, the intention may have been good and noble, but the execution was fraught with problems. A $4.2 million “slush fund” that Orleans Parish lawmakers get for a variety of hand-picked programs would be abolished and the money used to help bring the National Basketball Association’s Charlotte Hornets to the New Orleans Arena under legislation Rep. Steve Scalise, R-Jefferson, says he will file at the spring session. 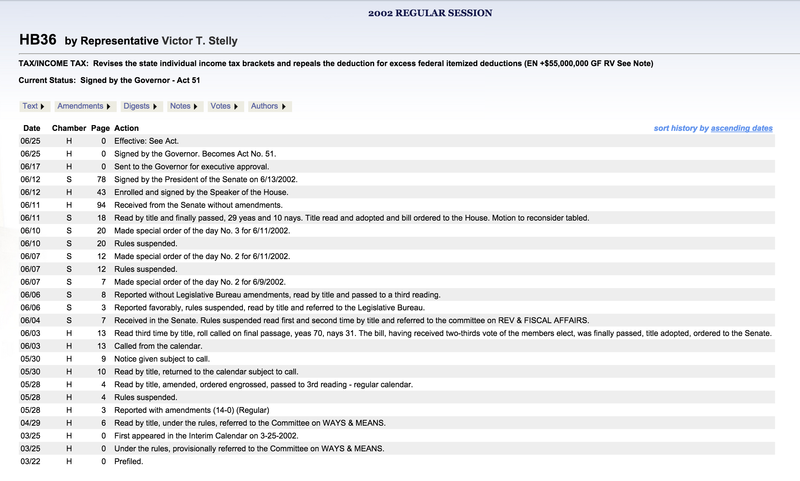 In a draft of the bill for the April 29 session, Scalise would require that the money go to the Department of Economic Development to help finance tourism, sports, economic development and recreation programs. Officials with the state and the Hornets signed an agreement last week to move the franchise to New Orleans, pending league approval and local commitment to buy tickets. Scalise said his bill does not touch the $3.3 million from the 1 percent hotel-motel tax that goes to nonlegislative programs, including tourism, recreation and education items, but could be amended to do that. The slush fund would be redirected to authorize the economic development agency to finance deals with the Hornets and possibly the New Orleans Saints, who have signed an agreement to stay in New Orleans for 10 more years while the state chips in an additional $185 million in concessions. Scalise said because he represents a small portion of Orleans Parish, his legislation would abolish about $15,000 in grant money he gets each year. 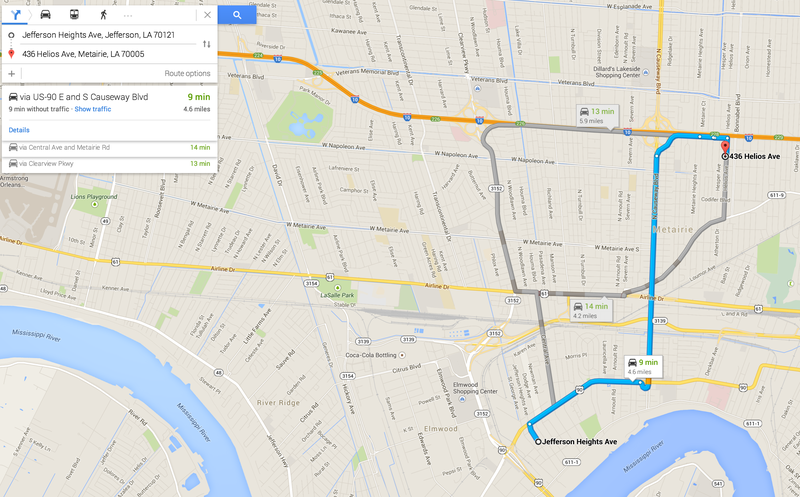 “That’s about one-tenth of what the other House members from Orleans Parish get,” he said. At the time, this was Rep. Scalise’s cause célèbre: Athough his alternative plan for the fund reeked of corporate cronyism, the “slush fund” had also been criticized repeatedly, from both sides of the aisle and from non-partisan budget watchdogs, as bad practices and ripe for abuse. But if Alsace Hebert, the neo-Nazi artist and Stormfront enthusiast, is to be believed, Rep. Scalise wasn’t talking about the Stelly Plan; he was talking about eliminating revenue for inner-city, predominately African-American non-profit organizations and, instead, dedicating that money to prop up a mega-million dollar basketball organization and a billion-dollar football organization that never needed it in the first place. As the adage goes, know your audience. According to both Mr. Ortis and Mr. Hebert (the latter of whom likely uses a pseudonym), Steve Scalise definitely did. Two years later, Hebert was promoting his Congressional candidacy and referring to him as a good substitute for David Duke, based entirely on his recollection of Rep. Scalise’s speech at the EURO convention. CNN has learned that the staffer at the time was Cameron Henry, who currently represents Scalise’s former state House seat. Henry rushed CNN off the phone Monday night and declined to discuss the situation, but did not deny his work for the congressman. 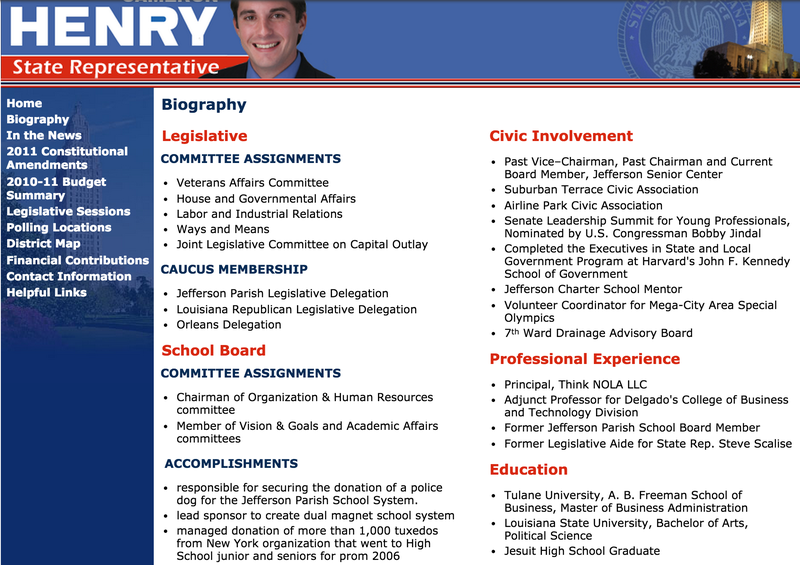 Henry’s brother, Charles Henry, is Scalise’s current chief of staff. Neither responded to requests for comment on Tuesday. Cautiously and speaking on the condition of anonymity, two different associates of Rep. Scalise have suggested that Cameron Henry, his former legislative chief of staff and current State Representative, is responsible for convincing Scalise to attend the white nationalist event. Unless and until both men decide to talk about the details, it is unlikely we will ever know the extent of Rep. Henry’s involvement. 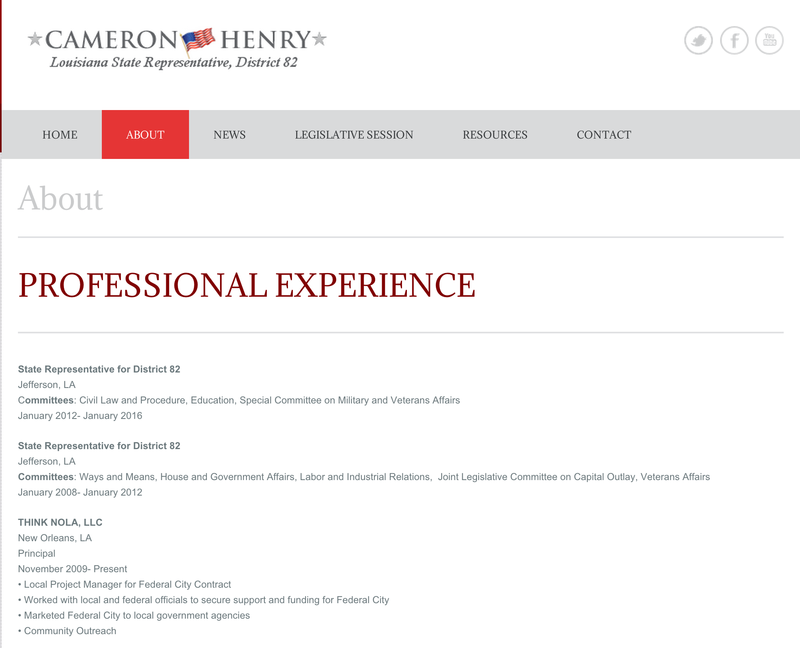 But tellingly, Rep. Henry scrubbed any and all mentions of his work for Congressman Scalise from his official website. The Stelly Plan was eventually rescinded by Governor Bobby Jindal in his first year in office, and as a result, Louisiana has lost more than $300 million a year. 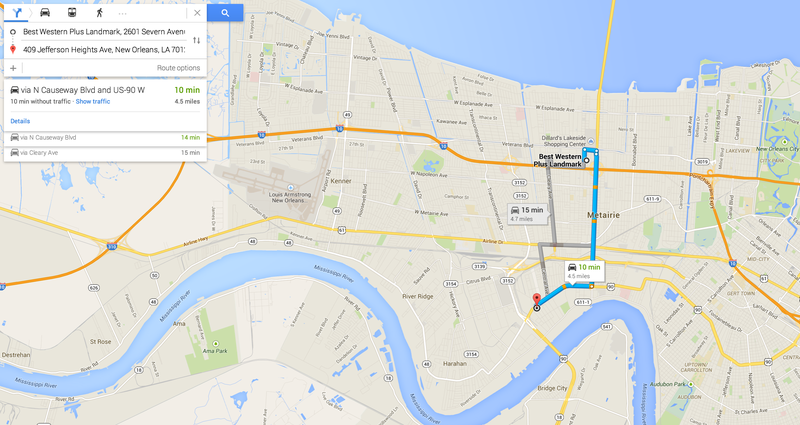 In 1973, Kenny Knight was an officer with the New Orleans Police Department. According to civil service documents first uncovered in Tyler Bridges’s seminal 1995 book The Rise of David Duke, Knight was fired as a police officer after allegedly stealing lumber from a construction site while off-duty. He subsequently became one of David Duke’s top lieutenants, his campaign manager, the treasurer of his hate group, and a principal organizer of the 2002 EURO conference. Laughably, Mr. Knight is attempting to convince the public that Steve Scalise, to whom he donated $1,000, was not addressing the EURO convention that day in the Landmark Best Western in Metairie, despite the fact that Scalise and others, including David Duke himself, have directly contradicted Knight’s version of the story. According to Mr. Knight, Rep. Scalise showed up to speak, two and a half hours earlier, to a neighborhood organization, the Jefferson Heights Civic Association, also apparently headed up by Mr. Knight. There are a few, major problems with Mr. Knight’s claim; I will get to those. But before I do, frankly, I believe that the members of the media, including WDSU, The Times-Picayune, and Slate, who have provided Mr. Knight with a platform and a microphone without vetting him in the same way that Rep. Scalise should have done himself are just as guilty of recklessness, unprofessionalism, and irresponsibility. As a journalist, I certainly understand the desire to chase down a blockbuster news story as quickly as you can, from as many different angles and from as many different sources as you can. But it’s abundantly clear that no one, with the exception of the great Jason Berry (to my readers, he is the other Jason Berry) who wrote an article titled “The Louisiana Racists Who Courted Steve Scalise” for The Daily Beast, actually cared enough about the story to really do their homework about Kenny Knight. Instead, they wanted to poke holes in my story, a story that had already been confirmed by the Congressman himself (Betsy Woodruff of Slate asked if Scalise admitted to “speaking at a white nationalist event he never attended,” which is a great hook for a story but a totally ridiculous notion). To do that, they allowed themselves to implicitly trust the testimony of a disgraced and serially, pathologically dishonest white nationalist. And in so doing- no doubt unwittingly and unintentionally- they made me the target of an onslaught of threatening, intimidating hate mail, much of which comes from people who are likely associated with other, similar neo-Nazi and white supremacists groups. As a son of the rural Deep South, I know to take these people seriously. Over the last 150 years, the Ku Klux Klan and its associated groups have continually held pockets of the American South hostage. They may claim to practice Christian values, but they actually practice and train in terrorism, violence, and thuggery. There is no such thing as the Jefferson Heights Civic Association. The organization does not exist. 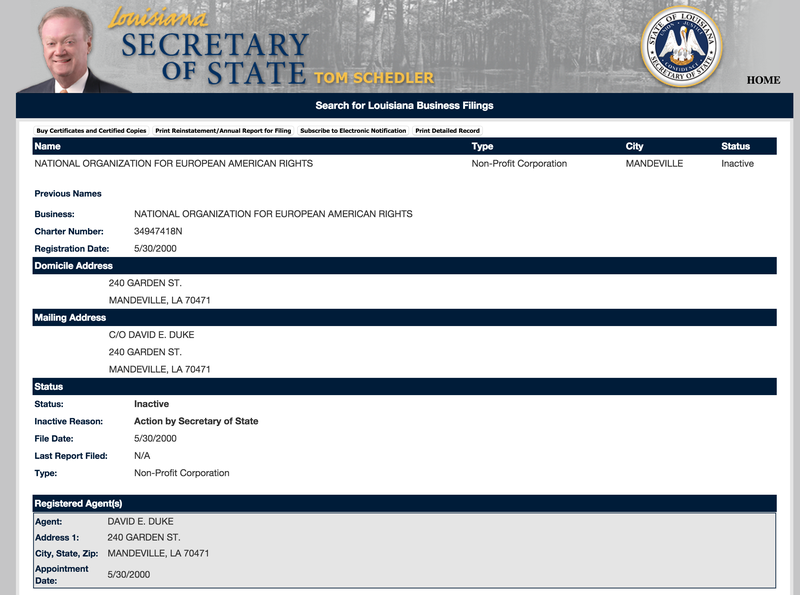 According to the Louisiana Secretary of State, the organization has never existed. Notably, no one seemed to recognize that Knight listed his address as “436 Helois” (sic) Avenue, nearly five miles way from Jefferson Heights. It is undisputed that Mr. Knight is registered to vote in the Parish and that he currently sleeps and eats at his girlfriend, Ms. Noble’s, house at 436 Helios Avenue. Clearly 436 Helios Avenue qualifies as a residence. The critical question is whether or not Mr. Knight abandoned his previous permanent residence located at 409 Jefferson Heights with the intent not to return to that residence and thereby transferred his domicile. The court held that Knight had not “abandoned his previous permanent residence,” primarily because, despite the fact he had moved in with his girlfriend, miles away, he continued to claim a homestead exemption at his old house. A year later, even after the court rejected his change of residency, Knight used the Helios address when he registered as an agent of David Duke’s white nationalist organization. Although Rep. Scalise has been criticized from both the far left and the far right for his willingness to associate with an international white nationalist conference, some conservatives have picked up on Kenny Knight’s claim that he had also been hosting another event at the same hotel on the same day, and despite the fact that Scalise almost immediately acknowledged his attendance and participation in the EURO conference, some would rather believe Kenny Knight. Knight, it’s worth noting, also claimed that he was not even associated with EURO at all. Yesterday night, Kenny Knight appeared on WDSU, and he doubled-down on his remarks, claiming that the story was nothing more than a liberal media conspiracy. I suppose I am to blame for this, and until last week, I was just an independent investigative journalist and essayist who wrote about Louisiana politics; for better or worse, I’ve never been a part of a conspiracy. It’s about a Congressman who appeared at an international hate group conference, told them what they wanted to hear about so-called “Christian” values and ending a “slush fund” that paid for the services and the salaries of inner-city African-American-led charities. It’s about a Congressman who, then, more than a decade later, has attempted to equivocate and rationalize his mistake by conflating events he held months later with this white nationalist rally, as if they were part of the same tour. The cover-up is always worse than the crime, the adage goes. I seriously doubt Steve Scalise is communicating at all with Kenny Knight, but if he is, I hope he is telling him to shut up. Knight’s pathetically absurd and flimsy excuse, which he likely concocted with his ex-girlfriend (the other resident of that place on Helios Avenue and the only other person on the planet who seems to remember the Jefferson Heights Civic Association), never deserved a single drop of ink. He rented out the conference rooms of the Best Western, in his official capacity as a director of the hate group. Ten full days before the event, Jeff Crouere, a conservative political commentator and former contributor at The Gambit, reported on the event: A minor league baseball team had canceled its reservations; protests were planned; at least 50 national white supremacists “leaders” were expected to attend; the Best Western corporate office was forced to publicly denounce the group and distance itself from their event. Steve Scalise would have us all believe that he, as a state legislator from that very community, didn’t know what to expect at this event. Steve Scalise would have us all believe that he, a computer science major, didn’t know how to surf the Internet in 2002. Steve Scalise would have us believe that he didn’t know Kenny Knight’s record (and for whatever reason, he hasn’t yet publicly repudiated this man and donated the $1,000 check that Knight sent him to the Anti-Defamation League or the Southern Poverty Law Center). More often than not, conspiracies are simple and stupid. Steve Scalise has attempted to skate through the controversy by claiming he was the only person in the state of Louisiana already on a tour, in mid-May, against a proposed November tax referendum that, at the time, had not yet even been heard in committee. And so far, the media has given him a pass. Kenny Knight has claimed that Scalise actually attended an unadvertised, completely unknown event by a non-existent neighborhood association in the same hotel and on the same day as the high-profile white nationalist event he had been helping to organize for months. And so far, for some reason, no one has asked why Kenny Knight would ever host a neighborhood association in a cheap hotel five miles outside of the actual neighborhood, a neighborhood of which he wasn’t even a resident. I know how the news cycle usually works, but with this particular story, I am certain: We are not done asking questions and demanding answers. Steve Scalise is the next Ted Cruz wannabe lol.. But possibility chance resign of his Scandal.. Thanks for this story. The truth needs to get out, and you are a major player for getting it out there. they made me the target of an onslaught of threatening, intimidating hate mail, much of which comes from people who are likely associated with other, similar neo-Nazi and white supremacists groups. Lamar, as the old saying goes: “Be careful out there.”. However, yours and Zack”s work on this is truly appreciated. Damn, don’t kill ’em lamar! I don’t get it. Scalise is not trying to get out of this by claiming that EURO, aka KKK, is not a hate group, right? He is saying he was not aware of it being a hate group at the time of his speech, right, and that now that he knows it’s a hate group he would never speak to it again, right? But Jindal is proudly going to talk to the AFA in a few weeks, right? He is not saying he does not know that AFA is a hate group, right? How could he after all the criticism about the event being held at LSU? So why is the Jindal-AFA-hate group story is not getting the same level of national attention as the Scalise-EURO-hate group story? Obviously Jinday is about to be undeniably guilty of exactly what Scalise is desperately denying he is guilty of. Is it that the House Majority Whip position is more important than the Governor of Louisiana? Is it that Jindal has already been consigned to the dumpster of history by just about everyone in the press? Is it the David Duke, KKK connection, and that the AFA does not have the same level of notoriety? I’m sure someone with more background in hate groups than yours truly could find some connections and membership overlap between the KKK and AFA. The reporter has done a fantastic job of getting info on this situation. Why did he rather than the Attorney General;s Office have to do it? Is the AG’s office going to investigate and/or press charges against Scalise and the others involved. It seems simple enough, but this is Louisiana! Scalise has spent his whole public life bashing the poor, calling them lazy, accusing them of living off the government and lecturing them on their moral failings. And lying to the good people of Louisiana about healthcare, climate change and the minimum wage.. While at the same time never passing up a corporate loop hole only he can love, and believes trickle down economics is the answer. That’s the reason Scalise should hang his head and resign, not because he pals around with hate groups. Great reporting, Lamar, in both this and in your original piece!